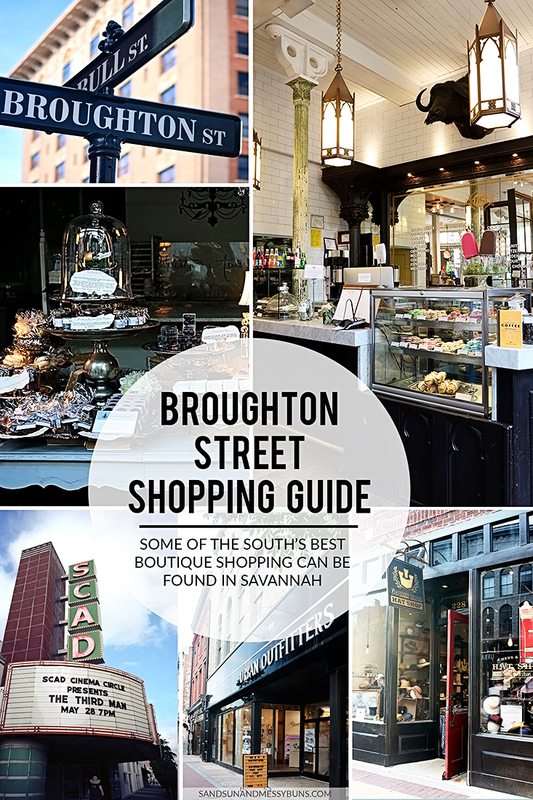 Some of the best shopping in the Southern states can be found on Broughton Street in historic downtown Savannah, Georgia. Though the street is just a few blocks long, it's packed with an eclectic mix of antique shops, thrift stores, upscale boutiques, and national retail chains. 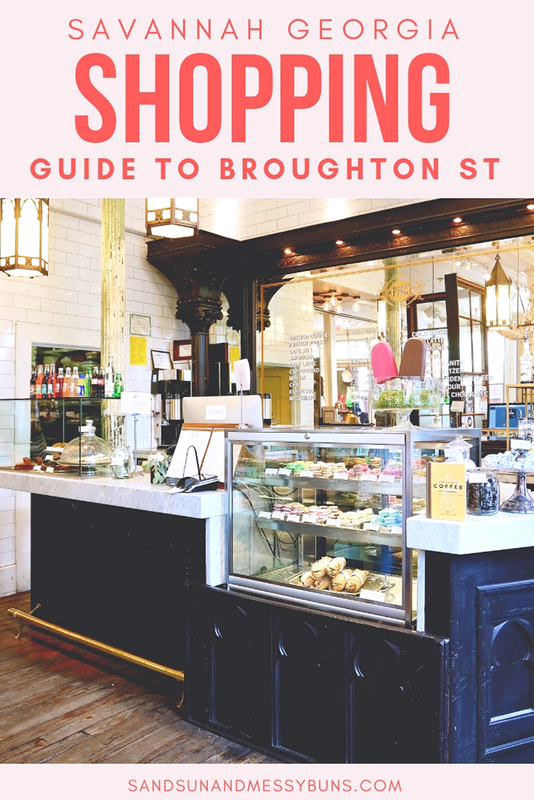 Daisy and I both love to hit the stores, and these are the stores that top our list as the some of the best in Savannah shopping. 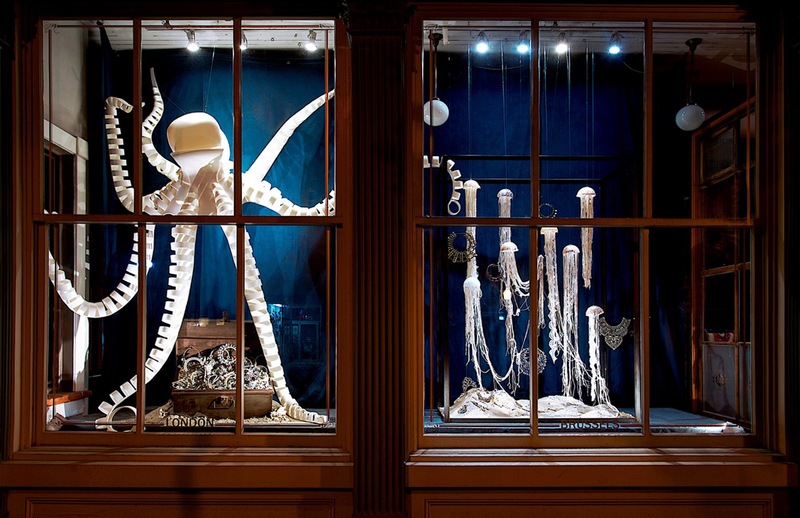 Please share this Savannah Shopping Guide on Pinterest if you find it helpful. Many of the local stores close between 5 – 7 p.m., so make sure you #shoplocal first and then move on to the national retailers afterwards. Stores like H&M and Urban Outfitters tend to keep later hours. The Paris Market houses two floors of vintage treasures and curiosities sourced from all over the world. “Brocante” means flea market, and — true to the name — you'll discover many salvaged and one-of-a-kind items throughout the store, in addition to signature items created exclusively for the shop. If you only have a limited amount of time to spend on Broughton, The Paris Market is a must. You'll also want to visit The Paris Cafe (within the store) to sample a macaron or two. My favorite find on a recent visit? An antique printer cabinet filled with Parisian art sketches. If your wardrobe is in need of an update but you place the utmost value on originality, Civvies should be one of your first stops in Savannah. 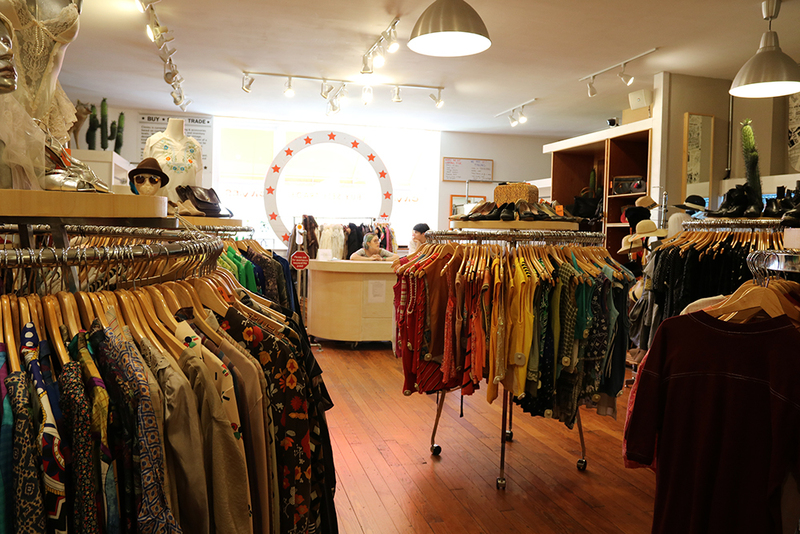 It’s one of Daisy’s favorite stores on Broughton, and it's where she consistently finds a plethora of funky recycled clothing from some of her favorite eras. On our most recent visit, she scored a high-neck retro orange and white swimsuit that looked like it was straight out of a 50s Palm Springs fashion editorial, a B&W checked windbreaker that was clearly a castoff from an 80s music video, and a classic Everlast tank. Oh Civvies, how we love your quirky little shop! Click on any photo to view it larger. Insider Tip: If you like Civvies, you'll also like The Future on Forsyth (actual address on W. Gwinnett St., but it borders Forsyth Park), Gypsy World on Bull Street, and House of Strut on 41st Street. Hang out anywhere in the Starland District to find your people! For more insider tips on making the most of your first (or second…or third!) 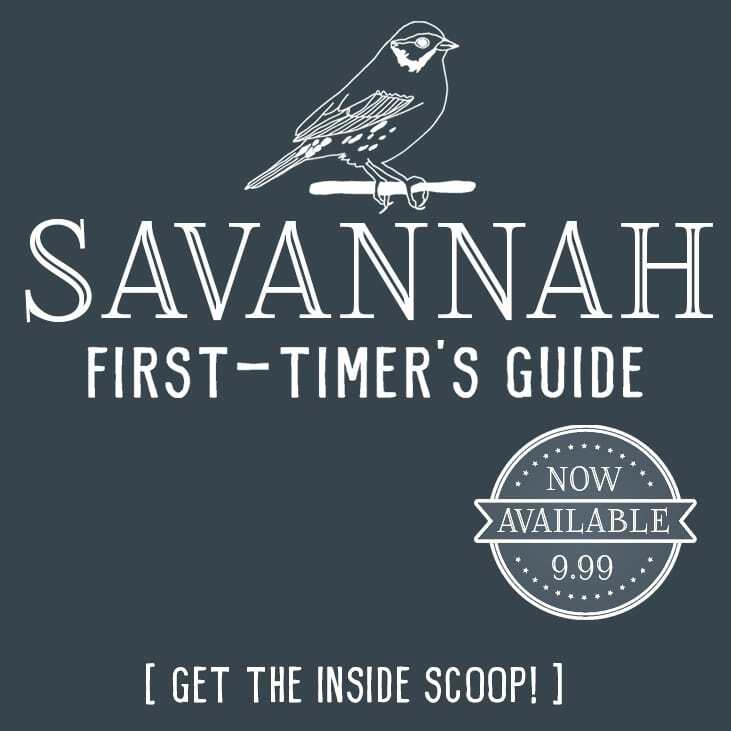 trip to Savannah, my Savannah First-Timer's Guide is available now. It's the best $10 you can spend before heading to town! I promise you'll save the cost of the book just on the parking tips section alone. 24e is a family-owned store run by Savannah native Ruel Joyner. 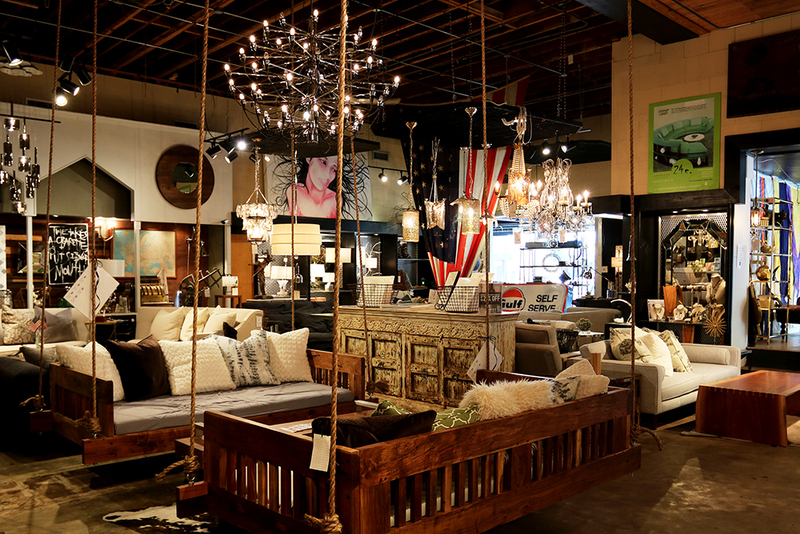 The store bills itself as “The Coolest Store in Savannah” and earned the bragging rights by combining high-end furniture with a dash of funky art and unique accessories. 24e. DESIGN CO. is “The Coolest Store in Savannah”. Established in 1919, Leopold's is truly a southern fixture and a great spot to beat the heat. Tourists and locals alike flock here to cool off with what's been classified by Buzzfeed as the most popular ice cream in Georgia. It also made the cut as Travel + Leisure's top spot for ice cream. It's conveniently located next to the iconic SCAD-managed Lucas Theatre. The neon signs from those two businesses can be seen in the background of many a Broughton Street selfie. I don't want to include too many photo galleries, so I'll combine the rest into a single large one below. I may add more photos at a later date if I get requests! If you’re a fan of Lilly Pulitzer, Kate Spade, or Draper James, you’ll more than likely enjoy the handbags, jewelry, and accessories found at Spartina 449. Think of Spartina as Kate and Lilly's Southern counterpart! Each collection in the store is reminiscent of a particular area of the Lowcountry and draws upon the colors and traditions of that area. Their flagship store is in Historic Old Town Bluffton. Nourish – One of our favorites shops in Savannah, by far! The scent of natural bath products wafting out of this store is enough to draw anyone in. The bath fizzies are our favorite product, with the hand scrubs running close behind. Plus, if we were giving out awards fore “most friendly employees in Savannah”, we'd give it to the folks at Nourish. Savannah Bee Company – This is another of our favorites shops in Savannah. You can sample each and every flavor of honey they sell. Try their award-winning Tupelo Honey! It's so good. The honeycomb samples are also pretty incredible. Goorin Bros. – Your friendly neighborhood hat shop! Kate Spade New York, Lilly Pulitzer, Urban Outfitters, Kendra Scott Jewelry, Lululemon, J.Crew, H&M, Marc by Marc Jacobs, Free People, and Starbucks. If you have any questions at all about Savannah, please ask below and I'll do my best to answer. You'll find more Lowcountry travel posts at this link. Head over to Pinterest to follow my Savannah travel board, as I'm always updating it with the best posts about the city. It really is a beautiful place to visit, isn’t it? Although the heat this time of year makes me want to escape to the mountains. lol I’m already ready for fall! I’ve heard so many great things about Savannah! I love checking out the local boutiques in the local cities that I visit! I do the same. I prefer the local shops over the chain stores any day. Paris Market is a MUST if you’re in Savannah…it’s one of the most unique local shops you’ll find in the city. Isn’t it a beautiful place? I love living here, too. 🙂 I hope you make it back soon! Once you’ve lived here, I feel like it becomes a part of you. I’ve been to Savannah many times but I’ve never been to the Paris Market!! It looks so cute!! I’m bummed I didn’t know about it! Paris Market is one of my faves!! You have to go! Heck, you can message me next time you’re in town and I’ll take you there. lol They’re constantly refreshing the store and get new items in all the time.